“Motherhood and housewifery and other worldly concerns of the female artist-provider ride rampant here in this bustling exploding book of prose & poem meditations. One of our best writers does it again” (Anne Waldman). 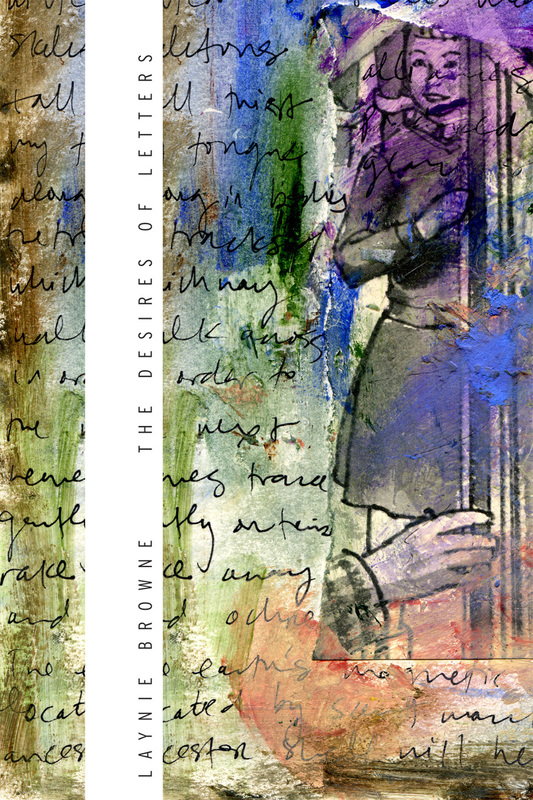 Prose, verse, letters, and plays, The Desires of Letters is a passionate commentary on writing, mothering, and the navigation of politics, community, and imagination. An homage to Bernadette Mayer’s The Desires of Mothers to Please Others in Letters, the book begins at the onset of the 2003 Iraq war and becomes “transformative . . . [in] its negotiation of the global and the domestic, beauty made bittersweet with annoyance and exhaustion, all that advice about how to raise a child and write at the same time” (Juliana Spahr). Laynie Browne was born and grew up in Los Angeles. She attended the University of California, Berkeley, and Brown University, and is a three-time recipient of The Gertrude Stein Award in Innovative Poetry. She is the author of a novel and nine collections of poetry, most recently Roseate, Points of Gold (Dusie Press, 2011), The Scented Fox (Wave Books, 2007, winner of the National Poetry Series), and Daily Sonnets (Counterpath Press, 2007). Browne is an assistant professor of poetry at the University of Arizona and one of the directors of the POG reading series in Tucson, Arizona. from Anne Waldman: Motherhood and housewifery and other worldly concerns of the female artist-provider ride rampant here in this bustling exploding book of prose & poem meditations. Laynie Browne tells it “slant.” These are the erotics of our letters (alphabetic duty) working for us as well as epistles to the world that capture & hold synaptic energy, quotidian urgency & secret delight. I feel like “personism” came back into the neighborhood. Onward & outward from Basra to dream realms to jaunts of imagination and friendship. One of our best writers does it again. from Juliana Spahr: This book is such a perfect fantasy. It is an homage to Bernadette Mayer’s The Desires of Mothers to Please Others in Letters. But as it is written by Laynie Browne, it is a different book. And yet it is just as transformative and all that I loved so much about the original book—its negotiation of the global and the domestic, beauty made bittersweet with annoyance and exhaustion, all that advice about how to raise a child and write at the same time—is there. I’ve long thought of The Desires of Mothers to Please Others in Letters as a sort of handbook to having it all. And yet I also knew there was so much more to learn. So I am grateful to be able to also have The Desires of Letters.